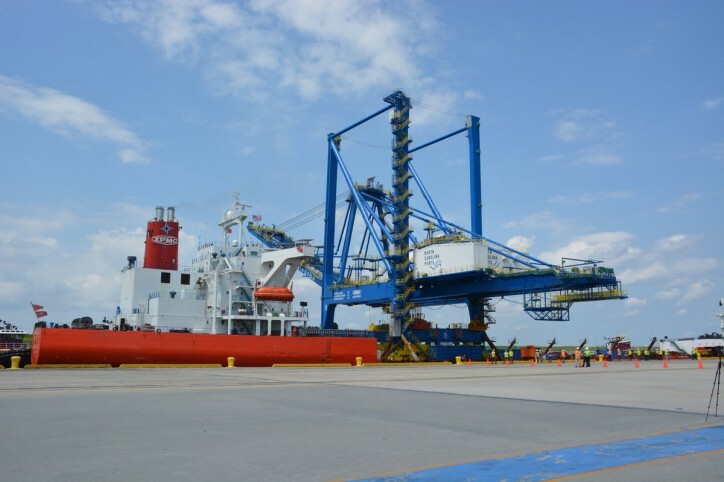 The three neo-Panamax cranes were purchased for $33.8 million and manufactured by Shanghai Zhenhua Heavy Industry Co., Ltd. (ZPMC). ZPMC is the world’s largest heavy-duty equipment manufacturer of port equipment. There are currently no domestic manufacturers of ship-to-shore container cranes.